Two years ago, Magz woke up one morning and decided she wanted to be a writer. Since then, she’s dabbled away at writing various scripts and short stories, won a big writing competition, and will generally do anything to avoid getting a ‘proper’ job. Magz and Iain met years before Promethea arrived, at various games events around the country, including UK GenCon and Conpulsion. 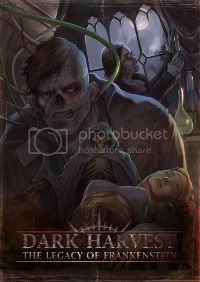 Magz was delighted to get the opportunity to write a small piece of fiction for Dark Harvest. Since then she has been writing treatments for authors who would like to see their work on the big screen and is currently working on several exciting screenplay projects.